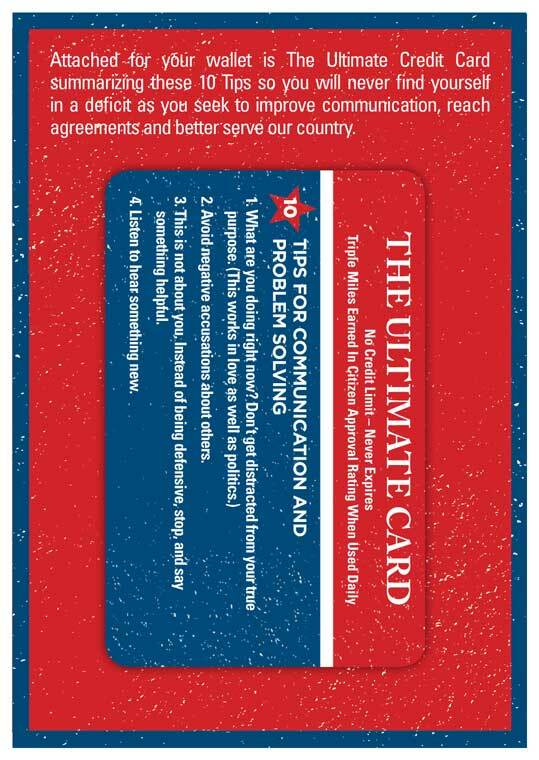 Carol and her husband Steve Medwell and her sister-in-law Lisa Eads distributed a copy of Easing Congressional Gridlock to every member of the U.S. Congress January 13 through 16, 2014. Carol Bailey, a Seattle divorce attorney and mediator is the founder and Managing Partner of Integrative Family Law. Carol brings a unique perspective to the practice of law advocating amicable resolution of family law and divorce matters. Her perspective comes from almost three decades of representing men, women, and children as a Guardian ad Litem in complex divorce and family law cases. She also has real life experience, having been amicably divorced, a single mom for seven years, remarried, and then blending two families including four children. Carol is also an adjunct professor of law at Seattle University School of Law, has been a member of the Harvard University Kennedy School's Women's Leadership Board and is a writer about relationships and happiness. She welcomes your comments at easingcongressionalgridlock@gmail.com. Carol Bailey, divorce mediator and author of Easing Congressional Gridlock, discussed how to mend lawmakers' relationships with Gov. Jon Huntsman on No Labels Radio. Click here to listen to the interview that was recorded on February 4, 2014. An exasperated electorate is watching the gridlock. 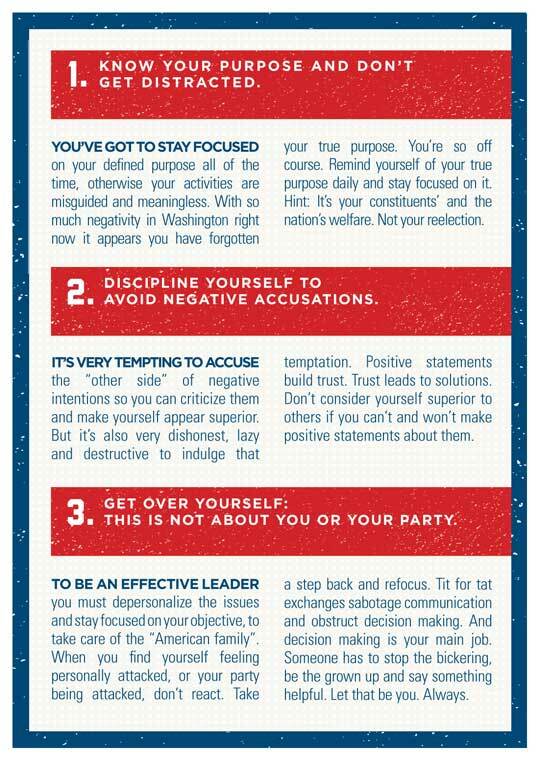 A playful, yet serious, manifestation of the resulting frustration is the pamphlet that my dear friend, Seattle divorce lawyer Carol Bailey, published recently and distributed to members of Congress in situ herself. Click here to watch the interview on KING-5 News. An exasperated electorate is watching the gridlock. 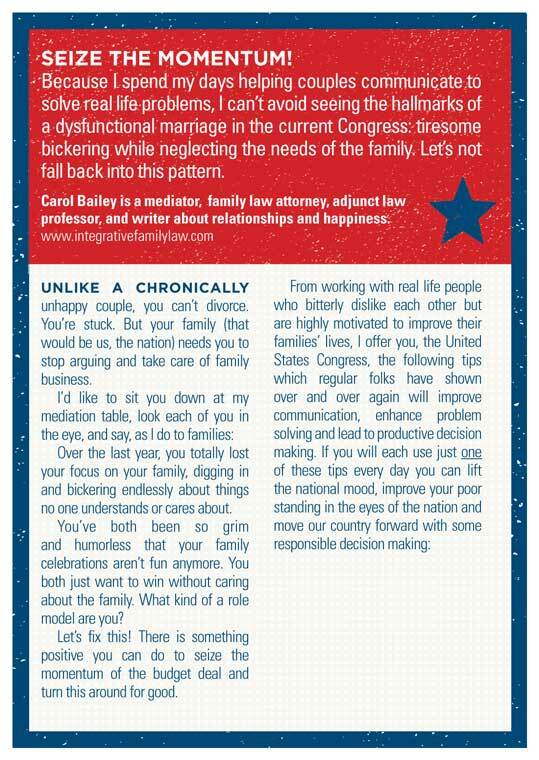 A playful, yet serious, manifestation of the resulting frustration is the pamphlet that my dear friend, Seattle divorce lawyer Carol Bailey, published recently and distributed to members of Congress in situ herself. Read the complete article from Yanis Varoufakis here. Article by Patty Payne in the Puget Sound Business Journal, Jan 17, 2014. Read the complete article here..
Dana Bush interviewed Carol Bailey on January 15, 2014 for CNN's Situation Room. Watch the video here. Carol Bailey is interviewed for "The Fine Print"
ABC's Jeff Zeleny interviewed Carol on January 13, 2014 in Washington DC for "The Fine Print". Read the interview and watch the video here. KOMO TV's Elisa Jaffe interviews Carol Bailey about her upcoming trip to Washington DC. Read the interview and watch the video interview here. Carol Bailey is interviewed for the Mark and Dave Show about her project to Ease Congressional Gridlock. Listen to the interview here. Thanks to AM 860 / KPAM Radio for the clip. 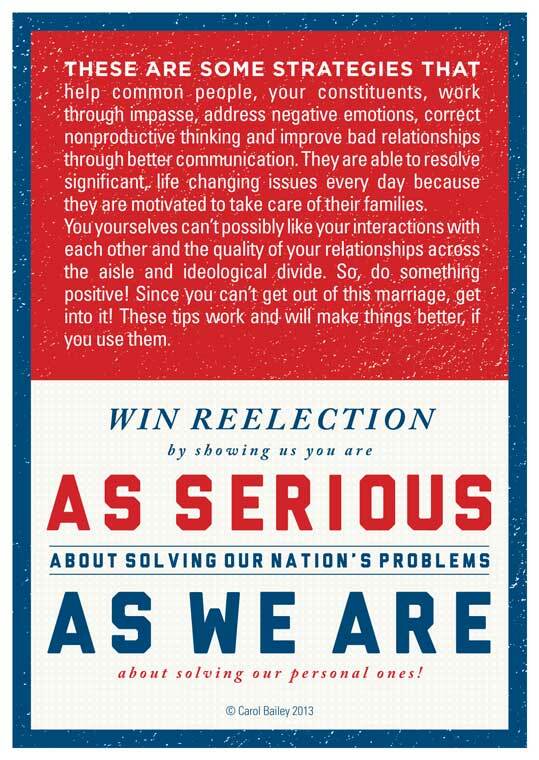 Seattle/Washington, D.C. Can one person make a difference in Washington D.C. to help our United States family? Seattle mediator and family law attorney Carol Bailey is going to find out as she embarks on a mission to help members of the U.S. Congress stop acting like a dysfunctional married couple who are neglecting their children’s needs. 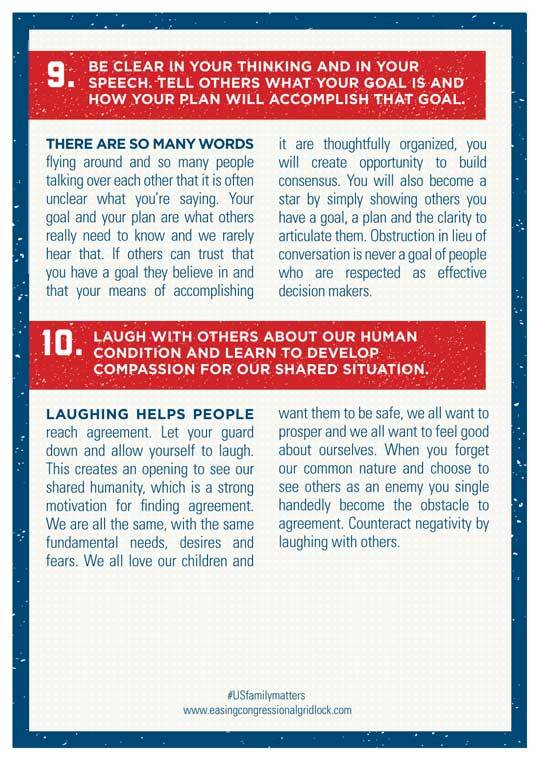 January 13-15, 2014, Carol and her husband, Seattle surgeon Steve Medwell, head to D.C. to deliver a booklet of 10 tips to every single Congressional member on changing the conversations from bickering to solving the national family’s problems. 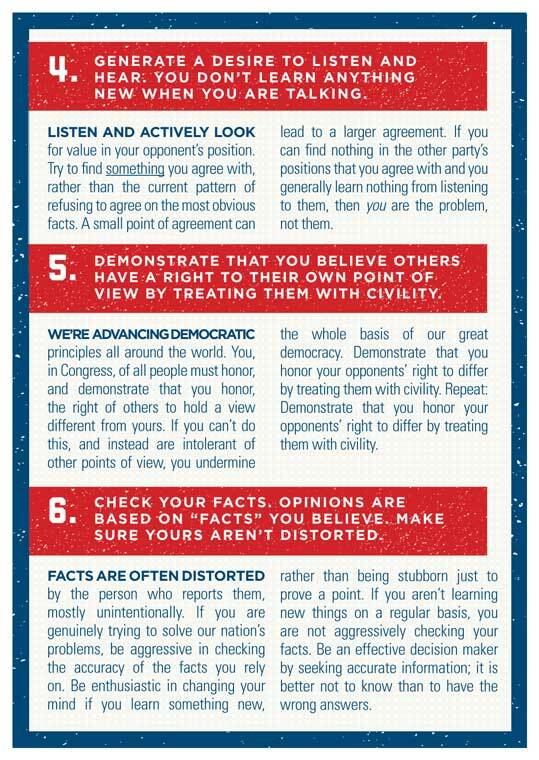 (full booklet here: http://easingcongressionalgridlock.com). 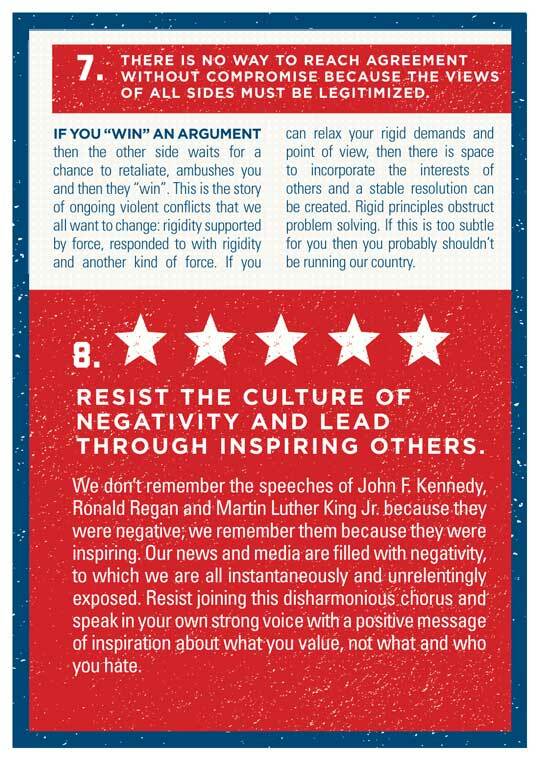 This quest is not on behalf of any special interest or political party: just a pair of citizens with the knowledge and resources to help Congress get back on a positive path to progress. 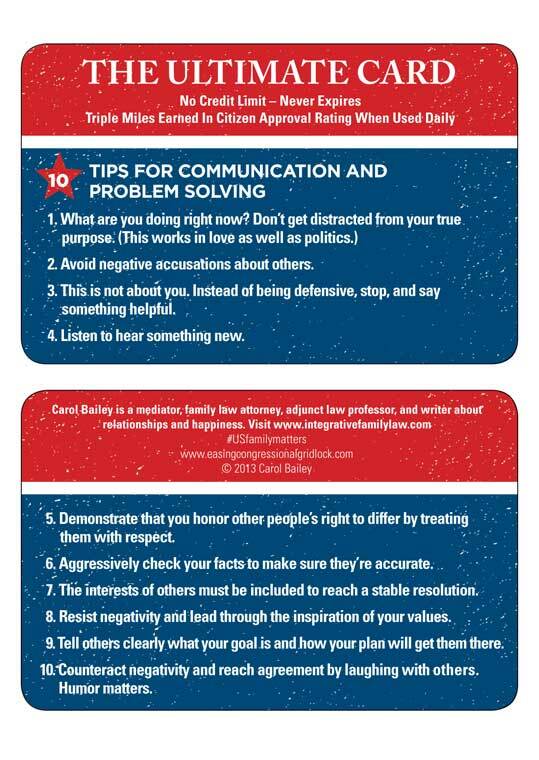 Carol is an expert in helping people resolve conflict. She has helped hundreds of families over the last 20-plus years stop the fighting and come to agreement, when agreeing seemed impossible. She founded Integrative Family Law in Seattle, a firm with a unique philosophy of considering the long-term well-being of the family, instead of just their short-term legal strategy. In addition to building a successful law practice to help families, Carol is a blogger and writer, an occasional radio show host about happiness, and she developed an innovative law school curriculum taught at Seattle University School of Law teaching students to practice law in a positive, non-conflicting manner. 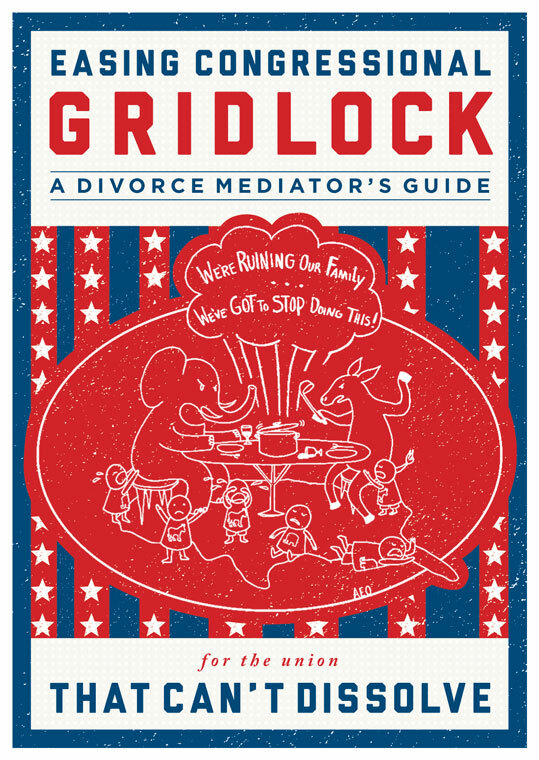 To read the full booklet visit http://easingcongressionalgridlock.com. Follow Carol and get updates on her trip on Twitter @CBaileySeattle and #USfamilymatters. To schedule an interview with Carol contact Mary Schilder at 206-218-3754 or mary@teamsoapbox.com.